Pension changes announced in the 2014 budget. Individuals in a defined contribution (DC) pension will be allowed to choose how much they withdraw (without limit) from their pension savings, rather than having to buy an annuity. As is the case now, 25% of such withdrawals will be free of tax, with the balance withdrawn taxed as the top slice of income. These rules will apply from April 2015, but certain temporary changes have already been made. From 27 March 2014, the amount that can be withdrawn from small pension scheme savings will be increased from £2,000 to £10,000, regardless of wealth. The number of schemes that can be taken in this way is to increase from two to three. This increases the limit on pension savings that can be taken as a lump sum (trivial commutation) which has increased from £18,000 to £30,000. There are no changes for individuals with final salary schemes and it will not be possible for those in public sector defined benefits schemes to transfer into DC schemes. If you have already bought an annuity, these changes do not apply to you. If you are 60+ years old and have made no withdrawals from your DC pension savings, which are less than £30,000, you may withdraw all of these savings (an increase from £18,000). 25% of such withdrawals will be free of tax, with the rest taxed at your marginal tax rate. Peter does not work and is 65 years old with DC pension savings of £25,000. He withdraws all of these savings on 21 June 2014. He will receive 25% of this tax free (£6,250), with a further £10,000 covered by his 2014/2015 personal allowance, leaving £8,750 to be taxed at his marginal tax rate (20%). He will pay £1,750 income tax. Shabila is working. She earns £70,000 a year and has £28,000 of DC pension savings. She withdraws all of this, again on 21 June 2014. Therefore, the first 25% (£7,000) is tax free. The rest (£21,000) is taxed at her marginal tax rate (40%), because she has used all of her personal allowance against her current employment income. She will pay £8,400 income tax. 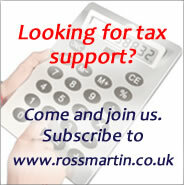 Pensioners may want to act swiftly to withdraw cash in the current tax year; they have until 5 April 2014.